Haq's Musings: Pakistan: A Land of Opportunity? Pakistan: A Land of Opportunity? i-genius, headquartered in London, calls itself a "World Community of Social Entrepreneurs". It promotes social entrepreneurship to a network in over 200 countries. "The population (of Pakistan) is proportionately one of the youngest in the world. The youth predominately feel passionate about their country and are determined for it to succeed. Entrepreneurship and social entrepreneurship seems almost natural to them, perhaps in part due to the lack of large employers. Where their parents forged family businesses in traditional practices often around clothes, food and retail, Pakistani youth are embracing new opportunities that arise from modern technology and creative industries. Likewise, women (young and old) are making an important contribution to the economy and becoming founders of their own businesses. Pakistanis have had to overcome many hardships, but this in turn has made them resourceful, robust and resilient. Such characteristics are ideal in shaping successful social entrepreneurs." Particular areas they focused on include energy, water and housing. Writing for the Guardian newspaper, Nishat Ahmad identified some of the key efforts being made in these two areas. Nishat Ahmad highlights Pharmagen Water. 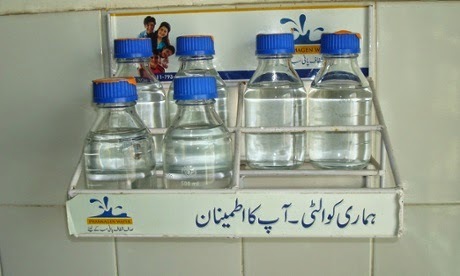 Founded in 2007, Pharmagen aims to provide poor communities in Pakistan’s second largest city, Lahore, with affordable clean and purified drinking water. It is supported by the Acumen, which invests in entrepreneurs and creates venture capital which can provide solutions to causes of poverty. In energy sector, SRE Solutions is helping with affordable solar panels for the poor. Established just last year with Acumen’s support it offers to harness solar energy for off-grid customers in districts of Punjab and Khayber Pakhtunkhwa provinces. Born after the 2005 earthquake, Ghonsla is working to build affordable housing for the poor. In the coming months Ghonsla is looking into increasing production and collaborating with another insulation firm based in Germany while working locally to increase the company’s footprint in Pakistan’s northern district of Chitral, a scenic yet underdeveloped area bordering the Himalayas. In finance, Nishat Ahmed cites SEED, Social Entrepreneurship and Equity Development, a venture which supports startups and grassroots innovations. SEED provided initial funding for Ghonsla. Its incubation center in Pakistan provide opportunities for young entrepreneurs in their early years of startup. It was established by friends Faraz Khan and Khusro Ansari and runs five distinct projects, including StartUp Dosti, a business plan based competition for early stage startups in India and Pakistan. It seeks to build relationships between the next generation of entrepreneurs from the two countries and the wider South Asian diaspora. As part of this it also launched Pakistan’s first television program closely based on the BBC’s Dragons Den format. It is to be aired in India and Pakistan in November. i-genius report on Pakistan also mentions their commissioners' meetings with other important social entrepreneurs such the Citizens Foundation (TCF) in education sector and Zacky Farms in sustainable agriculture. i-genius report says that Pakistan's social entrepreneurs are actively seeking ways to fill the huge gaps created by successive governments' continuing neglect of the country's social sector and infrastructure needs. Pakistan has many problems in almost all areas including education, health care, food, water, energy, housing and infrastructure. But the country is also home to one of the youngest and most passionate populations which, in the words of i-genius commissioners, is "determined for it to succeed. Entrepreneurship and social entrepreneurship seems almost natural to them, perhaps in part due to the lack of large employers. Where their parents forged family businesses in traditional practices often around clothes, food and retail, Pakistani youth are embracing new opportunities that arise from modern technology and creative industries. Likewise, women (young and old) are making an important contribution to the economy and becoming founders of their own businesses. Pakistanis have had to overcome many hardships, but this in turn has made them resourceful, robust and resilient. 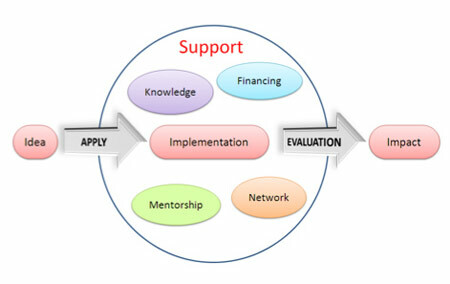 Such characteristics are ideal in shaping successful social entrepreneurs". The simple answer is "not exactly". With widespread extortion, harassment of entrepreneurs by some random thug claiming to belong to the TTP(a pathan mazdoor in reality most of the times) and very little government regulation, there is not a lot of opportunity. The word "entrepreneur" means someone who takes the challenge and risks all against all odd to achieve his or her vision. Real "entrepreneur" does not make excuses. Pakistan has been a land of opportunity since 1947. Our parents moved because they considered where the generations to come would find opportunity, not like India where Muslims have been put in a lower tier of development. But, lately, the 10% mafia is stealing this chance to develop by strong arm methods. Industrialists are being squeezed by unscrupulous government officials to either bribe or get out. I have an NEDian friend who elected to stay and runs a tannery. He pays 17 'Bhattas' every month to the 'wolves at the door' to keep on. The environment is not very conducive with these problems for enterpreneurs. Syed: "lately, the 10% mafia is stealing this chance to develop by strong arm methods. Industrialists are being squeezed by unscrupulous government officials to either bribe or get out. I have an NEDian friend who elected to stay and runs a tannery. He pays 17 'Bhattas' every month to the 'wolves at the door' to keep on. The environment is not very conducive with these problems for enterpreneurs." I'm well aware of the problems. But, in spite of the problems, entrepreneurs take huge risks against all odds and still succeed. Here's an excerpt of a Businessweek story titled "Pakistan, Land of Entrepreneurs "
" (Arif) Habib, who started as a stockbroker more than four decades ago, has expanded his Arif Habib Group into a 13-company business that has invested $2 billion in financial services, cement, fertilizer, and steel factories since 2004. His group and a clutch of others have become conglomerates of a kind that went out of fashion in the West but seem suited to the often chaotic conditions in Pakistan. Engro, a maker of fertilizer, has moved into packaged foods and coal mining. Billionaire Mian Muhammad Mansha, one of Pakistan’s richest men, is importing 2,500 milk cows from Australia to start a dairy business after running MCB Bank, Nishat Mills, and D.G. Khan Cement. I agree that Pakistan is a land of opportunity. Our population does not think in that direction of looking for opportunities in their own land, rather we are in habit of looking for opportunities on someone else's land. If something is missing or something wrong in community, this is clear indication that opportunity exists to make it right. In making something right we can generate plenty of jobs and our youth can indulge in more constructive rather than destructive future. Whole process will bring a lot of learning which can be implemented on different things. I myself moved to UK 14 years ago in a hope that UK will give me more opportunities. I was not thinking in right direction. Now when I look back at my life I can see that real opportunities did exist in my own country which to begin with I could not spot, they were there. Opportunity is not something that we should expect from someone, opportunity is something that we need to create. Is any attempt being made to document all these innovations at a central database? It could be useful to both Pakis as well as folks in rest of South Asia. Without money or even a laptop to call her own, young Pakistani entrepreneur Sidra Qasim moved from her small hometown in 2011 to the big city of Lahore to start a business. Her friend, Waqas Ali, asked her to join him as his business partner, and she moved into a hostel and took a job tutoring during the day. In the afternoon, she would walk 30 minutes to Ali's college campus where the two could use a free computer lab to work on their website. When the lab closed at 8, they went to the library and pored over copies of Harvard Business Review, reading case studies about start-ups. Ali and Qasim are examples of a philosophy that some of the world's leading thinkers and philanthropists have been betting on: that the Internet and technology will help entrepreneurs in developing nations build wealth and pull themselves and their communities out of poverty. In 2012, they had their first production run, and launched their business selling handcrafted shoes online. Within six months, their company, Markhor shoes, had sold 200 pairs of shoes in 17 countries. "We were able to give jobs to 24 local craftsmen," says Qasim, who acknowledges that there is still work to be done, but it's a start. "In our next run we would like to increase their pay by two, and offer health benefits." Entrepreneurial advancements are especially impressive in the case of Pakistan, where power outages sometimes last 18 hours a day and foreign investment plummeted by almost a quarter in 2012 alone, according to the Central Bank. Facebook — the poster child of the new Internet age — was banned in Pakistan for a time in 2010, and YouTube, though easily reached through proxy servers, has been officially banned for four years. And yet, information technology and communications is one of the fastest growing sectors in Pakistan's growing economy, which has seen its middle class double since 2002. In 2001, just 1 percent of the population was on the Internet; now Pakistan has 19 million Internet users, according to Census Bureau data. "Even in small villages, people, especially young people, are using Twitter and Facebook," says Qasim. "People from my village order mangoes on their mobile." Access to the Internet has made all the difference for young people like herself, says Qasim. Indeed, Ali, her hometown friend and business partner, got the idea for the online shoe business when he met local craftsmen in their village whose families have been making handmade shoes for generations, and saw their beautiful product. He thought they could find a wider audience by using Facebook and the Internet to market their goods. Markhor's business links the old Pakistan with the new — in the glossy, hand-stitched shoes made in their local village, Ali and Qasim saw an opportunity that would exploit a hole in the market and employ local craftsmen who had been struggling to make ends meet. Since 2000, Pakistani shoemakers had lost 90 percent of their business to China, leaving thousands without jobs. But the quality wasn't there with Chinese products. Ali and Qasim suspected that an international customer would appreciate a hand-crafted product that was hard to find, but available on the Internet. It may very well sound like a cliché, but Samad Dawood – the 32-year-old CEO of Dawood Hercules – made a valid point. Samad sounded upbeat for a man whose family business, by its own standards, went down post 1960s. The Dawoods were either the first or the third richest business family in Pakistan in terms of assets owned, as per two separate researches cited by Stanley A. Kochanek in his extensive book “Business and Politics in Pakistan”. They were everywhere – from the production and distribution of textiles, paper, rayon, chemicals and fertiliser to banking and shipping. But the nationalisation of the 1970s and division among family interests relegated them to the sidelines. Their re-emergence came about when the family branch, led by Hussain Dawood, acquired a controlling stake in Engro Corporation, one of Pakistan’s largest private sector conglomerates. But that came at a price that saw them re-invent themselves and forgo legacy. Even after the nationalisation, Dawood Group kept a few businesses with itself – the Dawood Hercules Fertiliser and textile units, which included Burewala Textile Mills, Dawood Lawrencepur and Dillon, which were their mainstay for years. It is said that Burewala owes its development to Ahmed Dawood, the group’s founder, who established massive textile mills in the city. But now they are not in the textile business and Dawood Hercules’s fertiliser has been sold off. “We had a choice to make as far as textile operations were concerned. They required significant amount of capital to be globally competitive,” said Samad, Hussain’s youngest son. Another option was to pump additional liquidity into Engro. They opted for the latter. Since the mid-2000s, Engro has expanded massively – first came a $1.1-billion investment in a new urea plant, then the launch of a food division with Olper’s packaged milk, a unique 217MW power plant that uses permeate gas, building the country’s first LNG terminal and finally, the $2-billion investment plan to develop a coal mine and power plant in Tharparkar. Dawood Hercules, the holding company, which has a majority stake in Engro, also has substantial shareholding and management control of Hub Power Company, another cash-cow. Most of its focus is on energy projects. Dawood’s three power projects in the pipeline include two 660MW plants that will be built by Hubco and will use imported coal, the Thar power plant and a 50MW wind farm. Game developers can grow up anywhere these days.these days, and the latest example of that are the Zaeem brothers from Pakistan. Saad, Ammar, and Shayan have created two startups: one that makes mobile games, and a new venture that is creating a platform for multilingual chat in games. The startups have created jobs in their hometown in Lahore, Pakistan, and Silicon Valley. Their successes are modest by the valley’s standards. But growing up in their part of the world, they overcame a lot of odds and made a rare successful tech and game startup in a fast-moving industry. I met them at a party at the Seattle Aquarium at the game event Casual Connect USA, and their story intrigued me. I met them again at a coffee house in Palo Alto, California, and I listened. Their Pakistan company, Caramel Tech Studios, has been making mobile games since 2011, and they are creating a new San Francisco startup, Fizz, that promises to do real-time translation for text chat in mobile games. Saad is heading that effort, and he has moved to Silicon Valley to raise money and build the company’s connections to others. The brothers credit their entrepreneurial spirit to their father, who’s in textiles and taught them about startups and business. In the late 1990s, when Saad was 14 and Ammar was 12, they learned how to create websites. One company hired them for $700 or so, and that was a lot of money for young Pakistani entrepreneurs. Their parents “acquired” their company and urged them to stay in school. And that story is replaying everywhere where people grow up playing games, study technology, and try to create their own businesses. Part of the inspiration is Silicon Valley’s fairy tale rags-to-riches stories, and part is the desire to play and learn how to build games. Their lives have been full of lucky breaks, made more frequent by their dedication. Ammar was interested in investing in stocks. Saad, the oldest, joined a startup without a salary. He helped the business grow and get work for hire. Then the brothers set up their own company, making software and games for hire. Halfbrick Studios, the Australian game company that made Fruit Ninja, gave the Zaeem brothers their lucky break. It hired them to build a version of Fruit Ninja for the Nokia Symbian phone platform. “The biggest problem we had was having the cash flow to take bigger risks,” Ammar said. The Halfbrick deal enabled them to boost the company to 22 people in Lahore, which had a good university that produced technical graduates. The Halfbrick job led to more work with Kabam, a mobile game company that made hits such as Kingdoms of Camelot. Andrew Sheppard, then head of studios for Kabam, put Caramel Tech Studios to work on a mobile card strategy game, Order of Elements. The studio then worked for Animoca, a Hong Kong company, to build an Astro Boy mobile game. Apple liked the idea of a game company in Pakistan, and it featured the title that the brothers made. One of their games, Blades of Battle, has been featured by Apple in 137 countries. After a while, Caramel Tech Studios started making its own games. That was like moving up the food chain, and it led to more deals. Then Saad stepped down as CEO in 2016 and started the effort to build the chat platform. TECHNOLOGY used on early space missions is being revived by two Fife companies to provide clean water for 100,000 people in Pakistan. ADVES Water Ltd and Bridge Technologies are working with the James Hutton Institute and National University of Science and Technology in Islamabad to deliver a high-quality purification facility for providing clean water. The original Electro Chemical Activated Solutions technology was developed to create a cleaner for solar panels on Soviet space craft 40 years ago. International Development Minister Alasdair Allan said: “This cutting-edge technology is now being applied by Scottish companies to improve drinking water and sanitation and helping to build sustainable communities in Pakistan. Professor Sher Jamal Khan, of the National University of Sciences and Technology, said: “This is a great opportunity to work with both academics and innovators in Scotland to solve critical challenges in Pakistan. Dr Richard Allan, of the James Hutton Institute, added that it was "another great example of the Scottish Government's Hydro Nation Agenda in action”. The serial entrepreneur, mentor, co-author of “New Success Secrets”, “L.E.G Formula” and the founder of Global Social Entrepreneurship Foundation, Muhammad Siddique, compiled data on such projects, says the Momentum Tech Conference 2018 has even more opportunities for the enterprises from its last year’s edition. He says the enterprise world is ready to help the Pakistani entrepreneurs to say goodbye to their excuses. “This year, Fortune 500 mentors and representatives of world’s top online brands will be in Pakistan to help startups,” he said. Of the long list of the online startups, there is the Nearpeer.org. This is an online professional courses portal where the users can learn at a self-directed pace. The startup won the second prize at the Momentum Tech Conference 2017. Its co-founder Ammar Ali Ayub who with his friend, tried to be a job provider while graduating from LUMS. Now, he has a team of 25 people and provides jobs to many dozen people. Ammar’s advice to startups is: never give up. Ali Gohar Wassan is the co-founder of TheUniPedia, an online portal for universities entry test preparations with self-assessment, explanations and dedicated tutors to enhance the learning level of students. Ali Gohar is himself is a university dropout but he saw an opportunity in directing the people to the university education, and in the process now he provides jobs to hundreds of tutors and a full-time seven people team. Ask him about his secret to success, and smiles: have mentors, leave out excuses and be fair to yourself. He says meetups like Momentum Tech Conference are never to be missed. “It is the venue where from we got payment solutions and universities connections. Also, at the conference will be Sehat.com.pk Marketing Director Bilal Mumtaz. His online medicine supply is a real breakthrough in Pakistan’s health system. The startup came into being when his project won a $150,000 seed money from a Canadian university, and since then the project has achieved many landmarks and has faced and overcome critical issues like fake medicine supplies. His priority is to provide cheap, good quality medicines to the people in rural areas at their doorstep in the quickest possible way. His secret success is: my network is my net-worth. The online journey has brought Hyder Khan to Hyderabad from his hometown Badin. This under-30 startup star is running two projects: one, software development and two, accounting consultancy. Just one year ago, he had invested Rs5,000 in his online business and now, he has a team of six people for both businesses. Qasim Asad Salam’s TheCampusFeed.com is also a new rage among the university students. The idea emerged when this LUMS student was in the final year and had been finding very hard to connect with other students. He thought of connecting with other students through a social network where everyone could speak on any issue maintaining anonymity. The idea was realized into a reality when it won a Rs300,000 prize at the Momentum Tech Conference 2017. That was a great push, and now the project is being run by six people. His advice to the struggling enterprises: be passionate, do not chase money and be extremely hardworking. Last but not least stands Sameer Ahmed Khan whose application SocialChamp.io won the first prize at Momentum Tech Conference 2017. This application caters to need all social media users. His story and struggle are very inspirational. A spate of failures did not deter him from working again and again and at the end of the day, he met with success. Such success stories and connections are learned and earned at the events like Momentum Tech Conference. This year, the event is going to be held on February 19 and 20 in Karachi. Pakistan’s entrepreneurial ecosystem has made immense strides, but this is only the beginning, writes Nabeel Qadeer. The evolution of the entrepreneurial ecosystem in Pakistan has been impressive to say the least. It has grown from a state of non-existence 15 years ago to a multi-stakeholder industry that is fast being validated globally. A 2017 report by Planet N and supported by Karandaaz Pakistan and the Lahore University of Management Sciences examined the challenges of the start-up ecosystem. It estimated that the number of start-ups launched after 2010 increased to 723, with 68 raising funding, of which six secured an investment greater than $500,000. An accumulated $20 million was raised by start-ups and $49 million by mid-stage companies. This growth has been supported both by infrastructural and policy measures. Over the past six years, start-up facilitation centres, including business incubators, accelerators and co-working spaces, have emerged across Pakistan, some backed by the Federal Government’s National R&D Fund. International business competitions are held all year round, thereby providing young entrepreneurs with the opportunity to have their business idea validated at an early stage. The year-round activity of the industry culminates into two large-scale international platforms, 021Disrupt and Momentum. Not only do they bring the entire ecosystem together, the sector is pitched in a holistic manner on a global level. On the policy front, measures have been taken by the Government to promote high-growth firms, thereby strengthening the ecosystem. As a result of the orientation towards one-window operations for legal paperwork, Pakistan now stands at 136 on the World Bank’s Ease of Doing Business Index, a jump of 11 places from last year. This compares to India’s 77th position and Bangladesh’s 176. To tackle the issue of seed capital, an entrepreneurial loan scheme for young people was launched by the Federal Government in 2014. This provided subsidised financing on an eight percent annual service charge basis. In the FY18-19, it is expected to benefit 2,800 applicants with Rs 3.7 billion. (A similar policy, Arabuma, was launched in Sri Lanka under the ‘Enterprise Sri Lanka’ programme in which a tax exemption was introduced for start-ups in 2017, acting as a financial incentive to scale; in Pakistan, start-ups are still struggling for such exemptions). The National IT Policy was launched in Pakistan in 2016 and if implemented in its true spirit, it will further level the playing field for start-ups. The digital policy presented by the incoming government makes mention of creating Knowledge Economy Authorities across Pakistan, ensuring standardisation of enterprise systems to improve governance, with an emphasis on ensuring the integrity and security of national databases. As a result of the orientation towards one-window operations for legal paperwork, Pakistan now stands at 136 on the World Bank’s Ease of Doing Business Index, a jump of 11 places from last year. This compares to India’s 77th position and Bangladesh’s 176. Although the Government aspires to create special economic zones (SEZs) to increase the ease of doing business, the focus should rather be on building IT parks and innovation cities like those created in China and Malaysia for example. This will create massive opportunities for start-ups to grow into SMEs (traditional SMEs in Pakistan create over 80% of the jobs in Pakistan). So are we there yet? Nurturing infrastructure and supporting policies are in place for entrepreneurship to thrive and the private sector is contributing to the ecosystem as well. The numbers are showing an encouraging trend. However, there is still a lot that needs to be done. Will Pakistan Rejoin Emerging Markets Index?